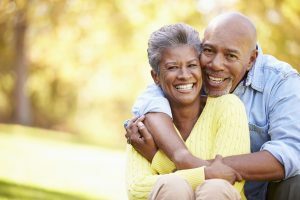 From planning for retirement to staying physically active, there are a lot of preparations to take for a healthy future. With life expectancies on the rise, it is important to maintain a healthy life. Studies have shown that people are living longer lives, but are not leading an active lifestyle. The British Journal of Sports Medicine reported that each hour adults over the age of 25 sit and watch TV, they can expect a 22 minute decrease in life their life expectancy. Taking steps for a healthier lifestyle can be beneficial in the future. The National Institute on Aging states that being physically active and taking charge of your overall health are the key components for your future well-being. Here are a few recommendations to lead a long and healthy life. As we age, we experience changes that can make high frequency sounds, tone and speech less clear. These hearing changes become more noticeable after age 55. Along with changes in hearing come changes in vision. By mid 40s, many people need reading glasses. It is also common night vision to decline and glare to intensify. Over time, our bones loose density and become weaker. Smoking and other lifestyle choices can also weaken bones. Osteoporosis and arthritis are some of the most common age related conditions. Arthritis comes in many different forms and can affect almost any joint in the body. The condition leads to joint inflammation, pain, swelling and stiffness. Weight bearing exercise such as walking and increasing calcium and vitamin D can help to slow bone loss and reduce the risk of osteoporosis. Weight loss and flexibility exercises can also lessen the impact the symptoms have and increase your quality of life. The blood flow and size of the nerve network to the brain decreases over time. Memory lapses and being slower in recalling details are a common part of aging. To keep your brain sharp as you age, regularly engage in social activity and continue practicing hobbies. Physical activity can also increase the blood and oxygen flow to the brain. Medication, along with age can lead to urinary incontinence. 1 in 10 people over the age of 65, especially women, struggle with the issue. Men experience urogenital issues as well. Prostate cancer is the second leading cause of cancer among men in the United States. As men age, the prostate continues to grow, making it difficult to pass urine. In many cases, bladder issues can be controlled or cured. Tooth decay affects people of all ages. The decay can wear away the enamel on your teeth, leaving you at risk for gum disease and other dental issues. If left untreated, the infection can ruin your gums along with the supporting tissues and bone. Over time, the disease can result in tooth loss. Brushing and flossing twice a day and semi-annual visits to your dentist can help treat dental issues like gum disease while still in the early stages. Years of exposure to harmful UV rays can leave skin damaged and dry with wrinkles and age spots. As you age, your skin becomes drier and thinner. Smoking can also cause skin to wrinkle faster, as it damages the Elastin proteins. With skin cancer being the most common form of cancer in the United States, it is important that you limit skin exposure and stay hydrated. Shingles is another common skin condition in adults over 50. The same virus that caused chicken pox in your childhood years continues to live in your nerve cells. The shingles disease affects nerves, causing blisters and pain in adults. There is now a vaccine available to reduce your risk of developing shingles after the age of 60.